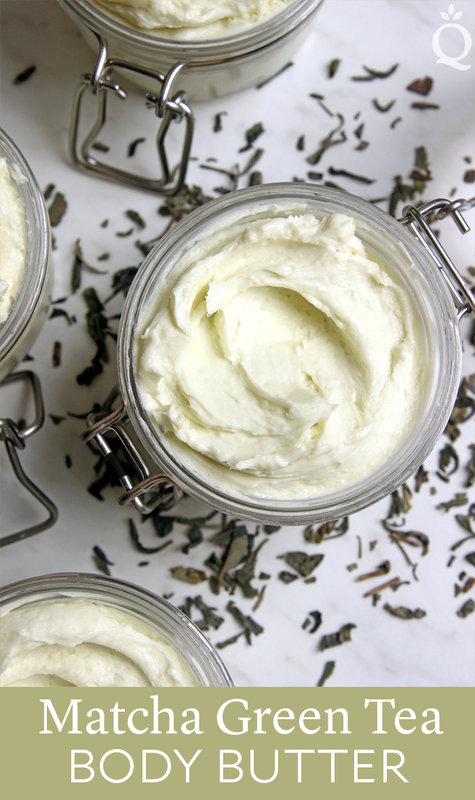 This creamy DIY Matcha Green Tea Body Butter is packed full of green-tea goodness. 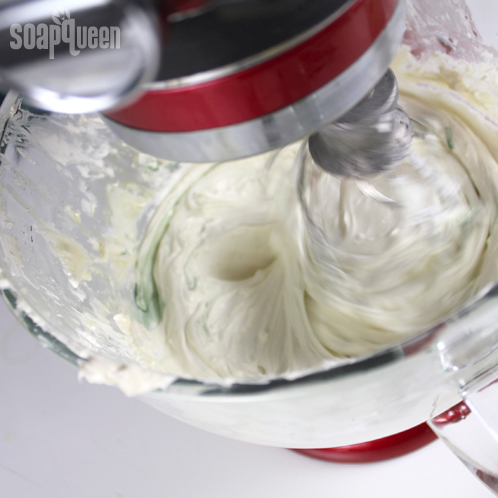 The base is shea butter, which has a soft texture that’s perfect for whipping into a smooth texture. Then, Matcha Green Tea Butter is added. 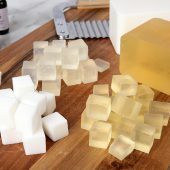 This new butter is a combination of sweet almond oil, vegetable oil, and matcha green tea powder. 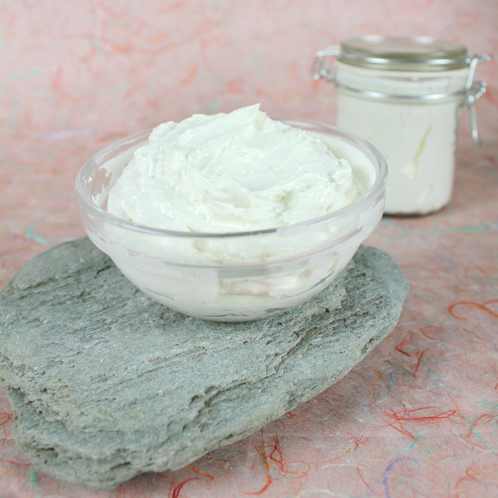 It gives the body butter a light green color and antioxidant properties. 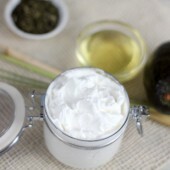 For extra antioxidant power, a dash of green tea extract is whipped into the butter. 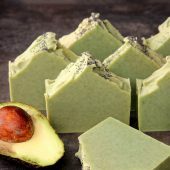 Matcha Tea Latte Fragrance Oil gives the butter a creamy, green matcha scent. 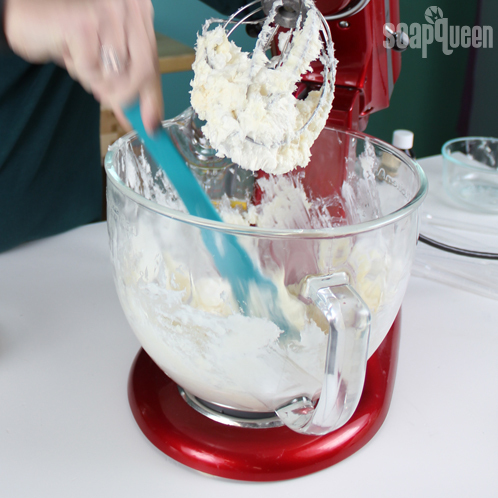 Once all the ingredients are mixed, arrowroot powder helps reduce the greasy feel of the butter. That being said, because this is made with only oils and butters, it does have a heavier, oilier feel than a lotion. Because this butter does not contain any water, it does not require a preservative. If you’d like to be extra safe though, you can add an oil-soluble preservative like Optiphen at 1%. We recommend using a preservative if you’re storing the product in the shower, or someplace where it may come into contact with water. 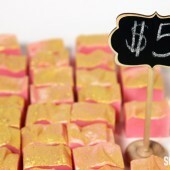 Rich, creamy and decadent, butters are a great addition to a wide variety of projects. 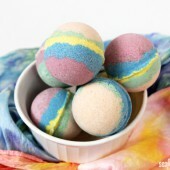 They can be used in cold process soap, lip balms, body butters and more. 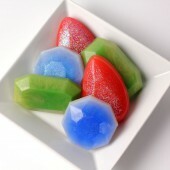 They are solid at room temperature, and have varying textures. 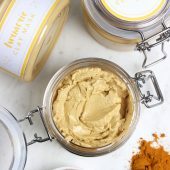 If you’re wondering what butter is right for your project, read more about mango, cocoa, coffee, shea and avocado butter below. Keep in mind that choosing a butter depends a lot on personal preference, and how you’d like your finished product to feel. 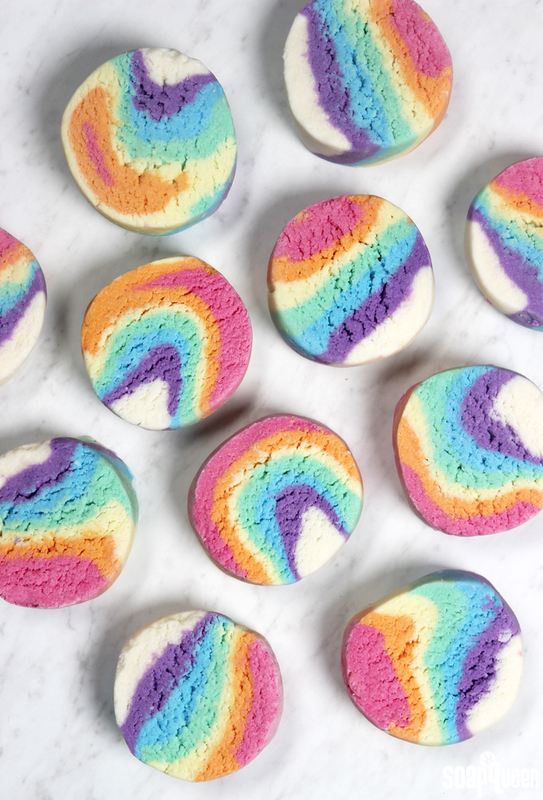 Before we look at the different kinds of butters, let’s talk about what butters have in common. 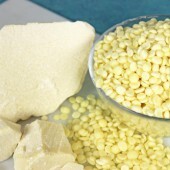 Butters come from various natural sources, such as fruit trees and kernels. 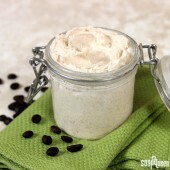 Some butters, such as coffee butter, are a blend of hydrogenated oils. Hydrogenation is the process of adding hydrogen to liquid oils to turn them into a solid. 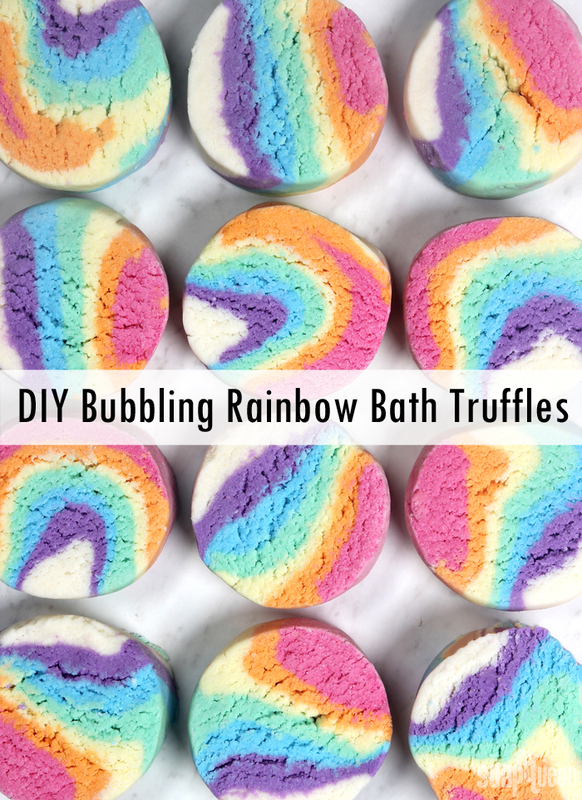 In general, butters are extremely skin loving and add a luxurious feel to products. 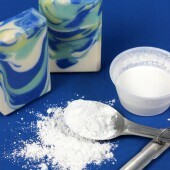 In cold process soap, butters can contribute to the firmness of the bar. 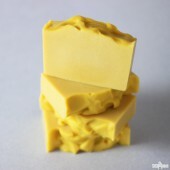 But, using too much butter can inhibit lather, or cause the soap to crack. In general, I like to use butters around 10%-15% or less in my recipes. 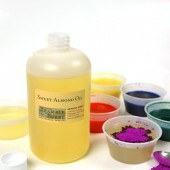 To read more about various soap making oils and butters, click here. 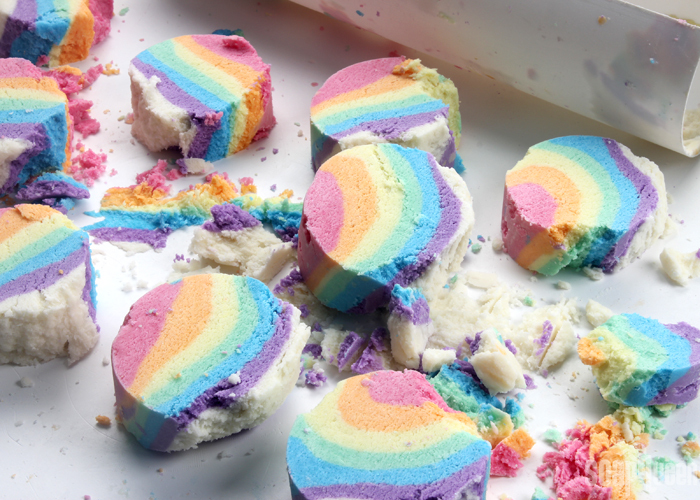 Some butters are soft and spreadable, while others are hard and brittle. In my opinion, the softest butters are avocado butter and coffee butter. 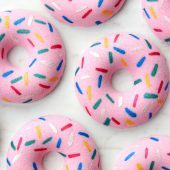 They are soft, spreadable and melt on contact with the skin. 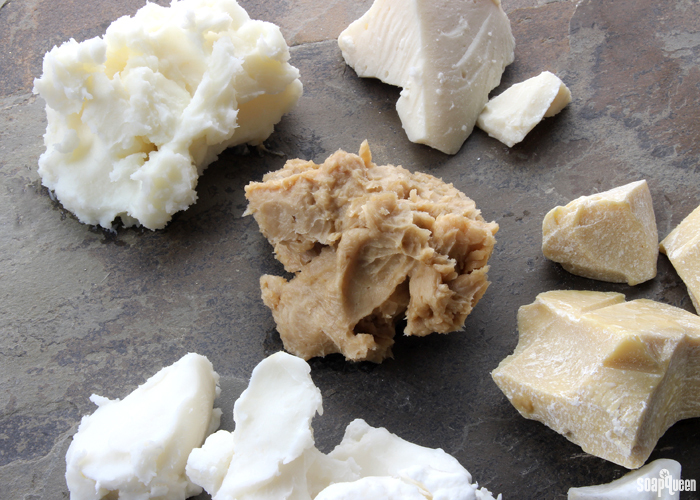 Shea butter is slightly firmer, but still soft and spreadable. 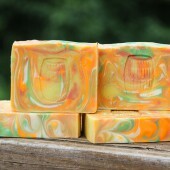 The two harder butters are mango butter and cocoa butter. 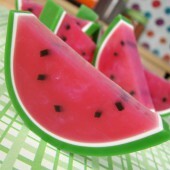 Both are more brittle, and need to be chopped rather than scooped. 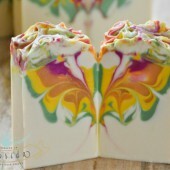 Cocoa butter is much firmer than mango, and is great for adding firmness to cold process soap. Do you have a favorite butter? It’s another throw-back Thursday video! 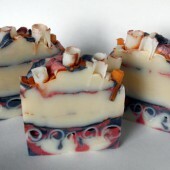 This one features Kristy Schemrich, an amazingly talented soapmaker and teacher at our 2011 Soap Weekend Intensive (when we filmed this video). 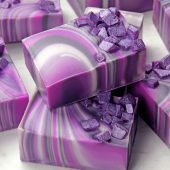 This soap has many steps but once you break it down the technique is surprisingly easy. It’s been wonderful looking back through the archives, we clearly had so much fun filming with Kristy as you can see from this blooper reel. 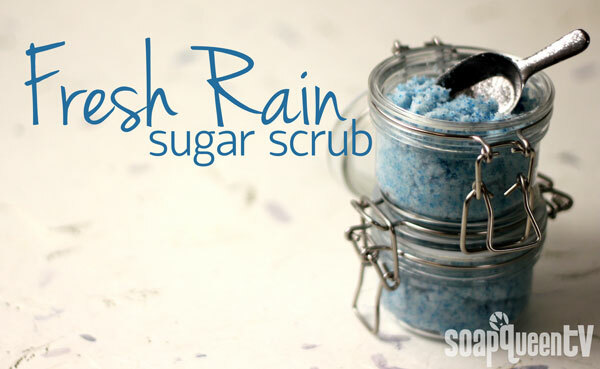 This Fresh Rain Sugar Scrub is so easy to make and a really nice alternative to traditional oil & sugar scrubs that can be greasy and slippery in the shower. 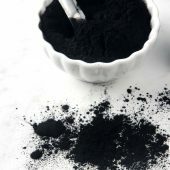 Potassium Cocoate is one of the key ingredients in this scrub. 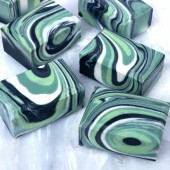 It’s a soap concentrate made from coconut oil that contains glycerin resulting in a lovely, moisture-rich scrub. 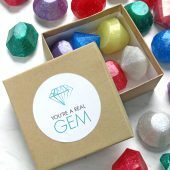 Plus, jojoba beads add a pretty sprinkle of color, and, as highlighted in this Sunday Night Spotlight, they are an ideal alternative to plastic micro-beads. 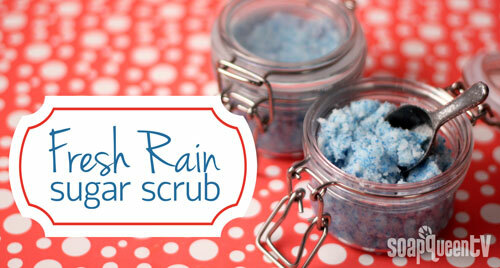 Click here to get everything you need to make this scrub! 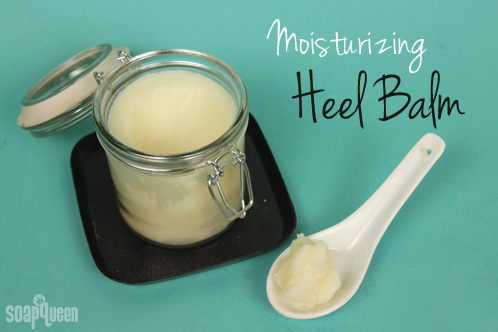 For tired and cracked heels, this moisturizing Heel Butter will freshen up your feet in no time. 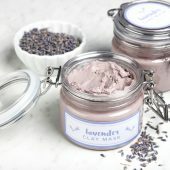 The secret ingredient is the cera bellina wax, which gives the balm a smooth and luxurious texture. 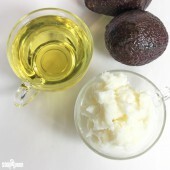 It also contains a number of skin loving oils and butters, including shea butter, castor oil, cocoa butter, avocado oil and fractionated coconut oil. For a step-by-step how to guide on giving yourself a home pedicure, check out our free PDF guide. 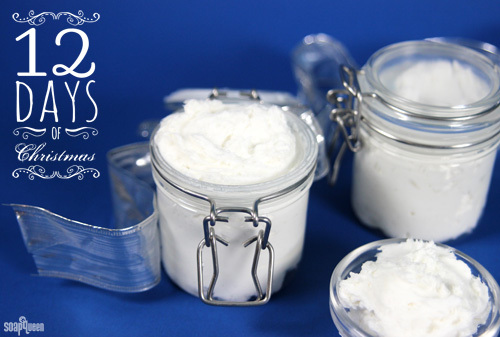 The cute labels for the jars are also available as a free PDF item. 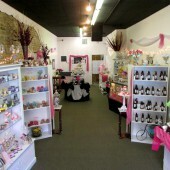 This project is part of the Happy Feet Home Pedicure series. 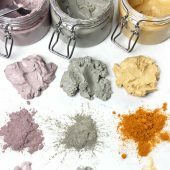 See all the projects here: Invigorating Foot Soak, Rose Clay Foot Mask, Cranberry Seed Foot Scrub and Summer Shimmer Nail Polish. Little extras often make a good lotion a fantastic lotion, and this Argan & Shea Lotion has no shortage of extras. 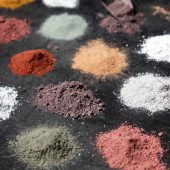 The recipe is highly customizable, and you can choose between three different scent, color and extract options. 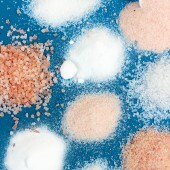 All three options contain powerful and unique skin-loving antioxidants and vitamins. 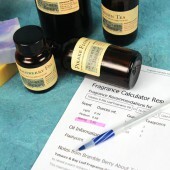 Bonus, this tutorial comes with free PDF labels to give this lotion a professional touch. 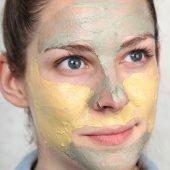 In this episode of Soap Queen TV, I redeem myself. 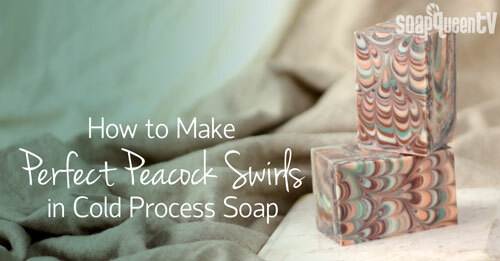 In case you don’t remember, I posted a video on how to do the Peacock Swirl in cold process soap and although the soap turned out nice, it wasn’t a great example of the peacock swirl design. So I designed a set of tools to help me do it perfectly every time. While I’ve used the swirl tools in previous tutorials (peacock challenge, frog foot swirl, & butterfly swirl), you get to see them in action in this video! Please Note: The in-video links only work on the YouTube website (darn!). See the basic cold process videos here. 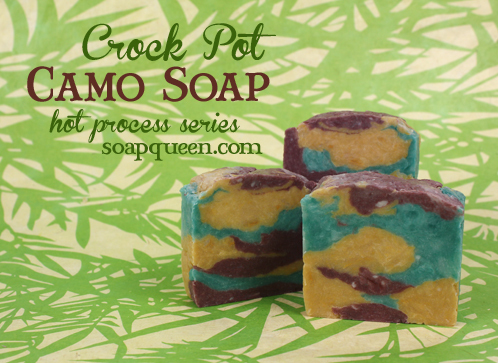 Get everything you need to make this soap with the click of a button! 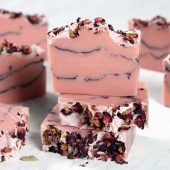 I’ve been so absorbed with cold process recipes because of the Soap Crafting book I thought it would be nice to change things up and get back to melt & pour soap. 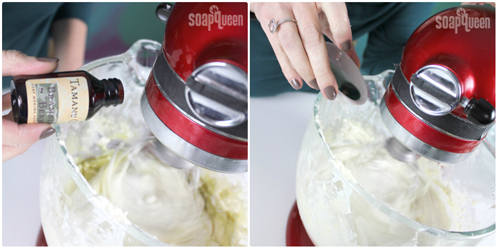 In this episode of Soap Queen TV, I make an incredibly luxurious soap which I named the Spa Bar. 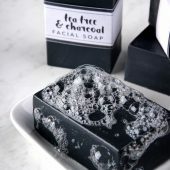 For the base I used our Shea melt & pour soap and then I used Activated Charcoal and Rose Clay for their purifying and cleansing properties – plus they look gorgeous together. 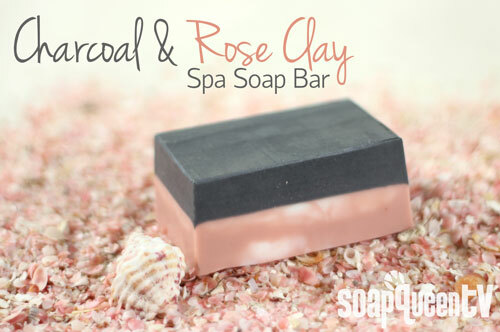 To scent the bars I used Sandalwood, Rose Absolute, and Red Brazilian Mandarin Essential Oils for a natural finish to this tiny spa in a bar of soap project. 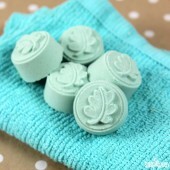 Click Here to add everything you need to make spa bars to your Bramble Berry shopping cart! 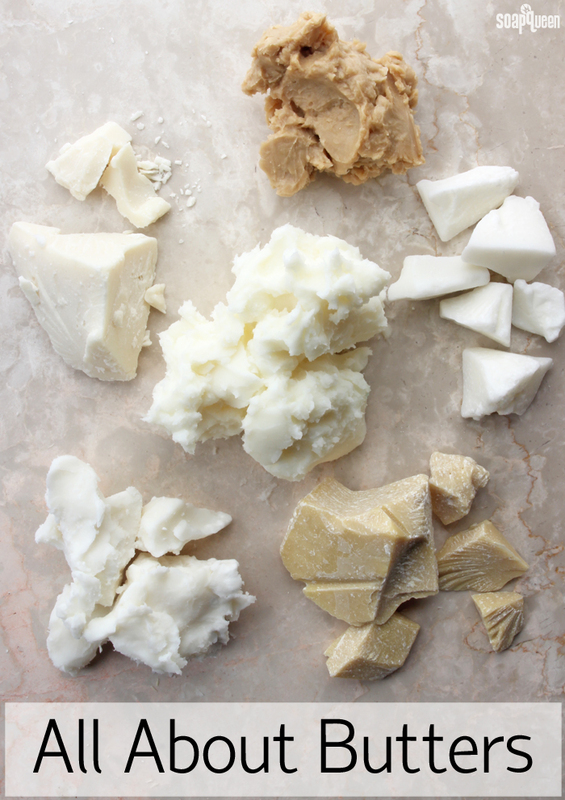 Skin-loving, luxurious and downright decadent, top product formulators can’t get enough of Shea Butter! 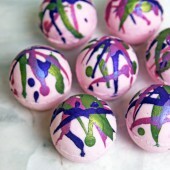 Over the last few years Shea Butter has grown in popularity in the bath & beauty product scene. With its versatility in soap, lotion and lip balm, it’s easy to see why. 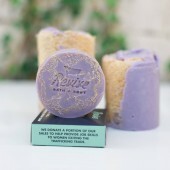 Bramble Berry Shea Butter is a soft solid with an off-white to ivory color, and has a faint odor. 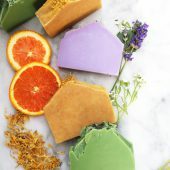 It contains 4 – 9% unsaponifiables (additional components in the fats and oils that can’t be fully converted into soap), which means it’s an excellent skin-loving ingredient in cold process soap. 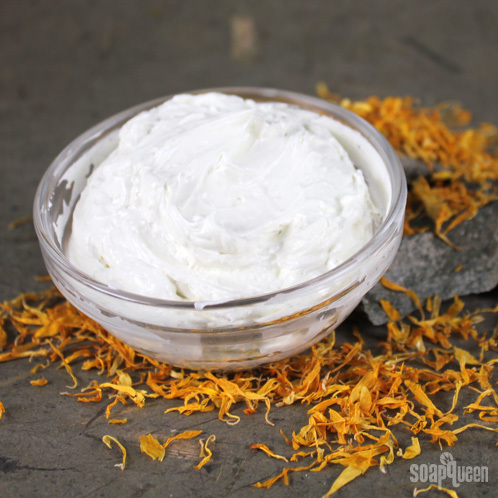 It’s a popular additive in salves and lotions given its emollient and moisturizing qualities. 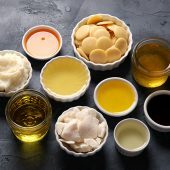 Shea butter may even provide some medical benefits too, as some of its components are reported to have anti-inflammatory properties. 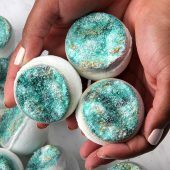 In soap, Shea Butter does not contribute to lather or hardness (so it’s basically a super luxe additive), and the recommended usage rate is typically 10% or less. 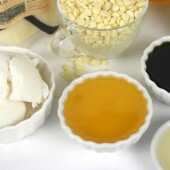 However, you can use up to 100% Shea Butter in balms and salves. 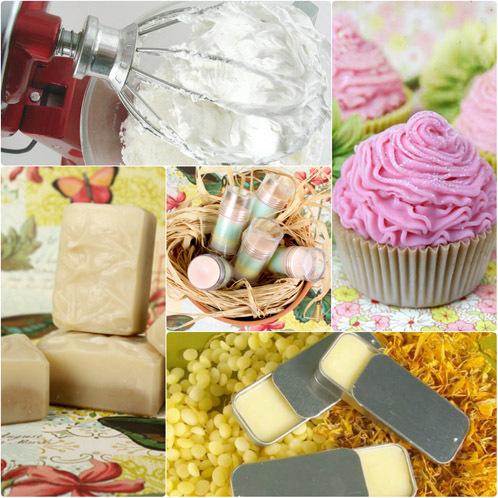 These are just a small snapshot of what you can do with shea butter. 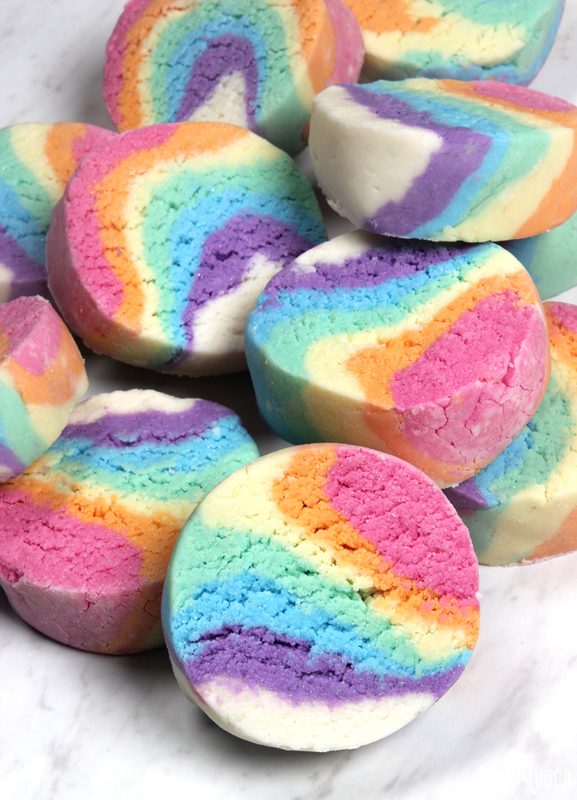 You can add it to nearly any recipe to give your products a little boost of skin-softening power! What are your favorite products to make with this wonderful butter? With another Bramble Baby on the way (our Social Media Manager, Kristen, is due in October!) 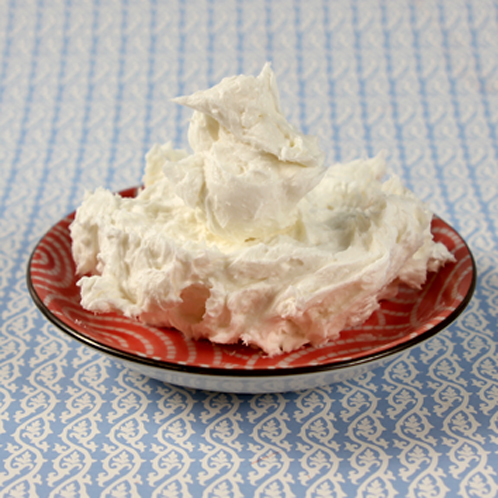 we decided to put a little spin our our original Whipped Belly Butter. 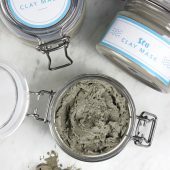 We’ve supercharged this recipe with Tamanu Oil, Chia Seed Oil and Argan Oil, which are all known for their excellent moisturizing properties. We’ve also cooked up an essential oil blend fit for a king (or a queen!) 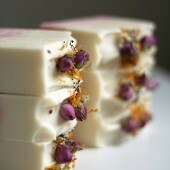 that includes Roman Chamomile, Rose Absolute and Egyptian Geranium. A little bit of this lovely butter goes a long way, and it’s great for dry skin and pregnant bellies alike. 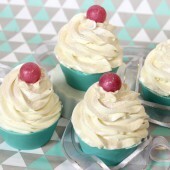 Click here to add everything you need for this project to your Bramble Berry shopping cart! And remember, you can always remove anything you don’t need. INFUSION PREP: Before you begin, infuse 1/4 cup Calendula Petals in an oil mixture of 3 oz. Chia Seed Oil and 1 oz. 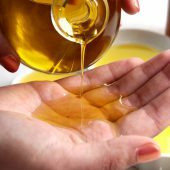 Argan Oil. If you’ve never made an infusion before, refer to this blog post on making a calendula infusion using your stove top. 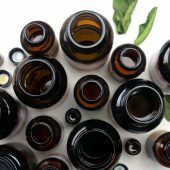 ESSENTIAL OIL PREP: To make the essential oil blend, use droppers to combine 20 drops of Rose Absolute, 10 drops Carrot Seed Essential Oil, 10 drops Roman Chamomile, 10 drops Egyptian Geranium and 10 drops Hungarian Lavender. 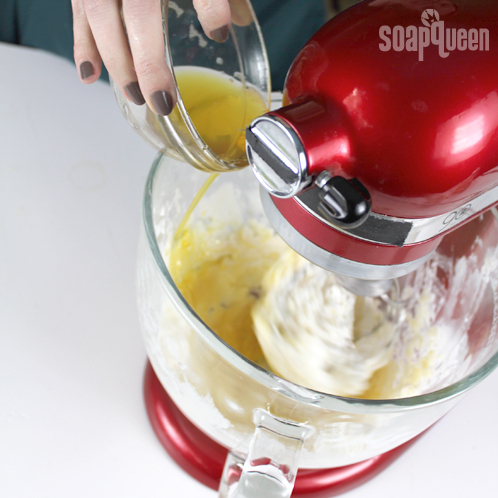 ONE: In a large mixing bowl, whip together the Mango and Shea butters on low speed for 30 seconds. Increase to medium speed for another 30 seconds. 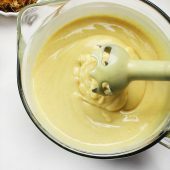 After about a minute of mixing, the butters should have a fluffy texture. TWO: Some of the butter may have crept up the sides of the bowl. 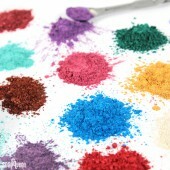 Use a spatula to incorporate it back into the mixture. 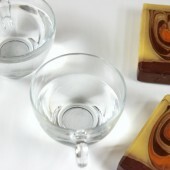 THREE: Melt the cocoa butter in the microwave on 30 second bursts. Once melted, slowly add it to the mixture with the blender on low speed. 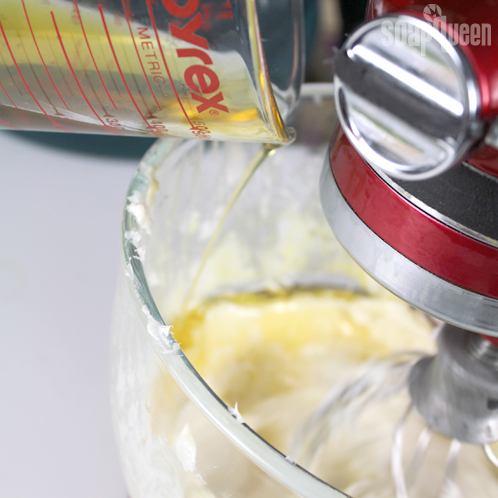 It’s very important that your mixer is on the lowest speed possible to prevent splattering the oil everywhere. 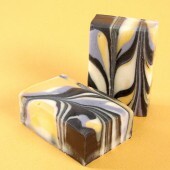 FIVE: Once the cocoa butter has been fully incorporated, slowly add the calendula infusion. Again, make sure your blender is on the lowest speed setting possible. 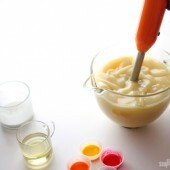 SIX: Slowly add in the tamanu oil and whip into the mixture on low speed. Once it has been fully incorporated, add in the essential oil blend. 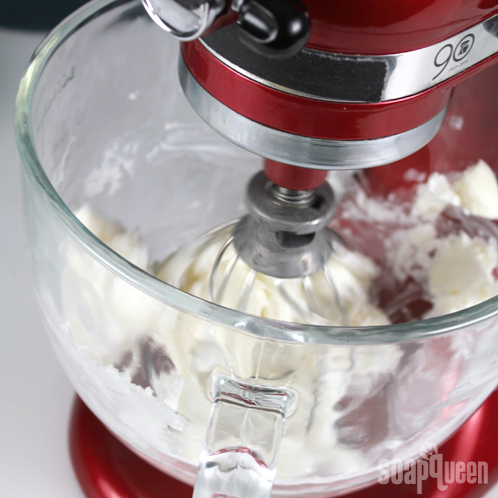 SEVEN: With all ingredients in the bowl, turn the mixer on a medium speed for 30 seconds to 1 minute. 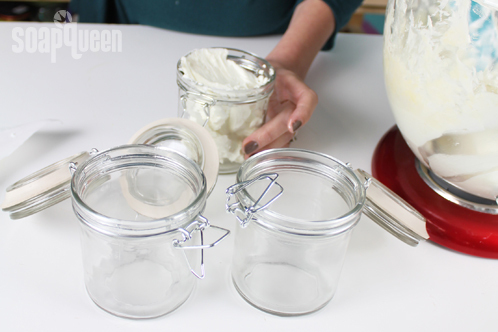 EIGHT: Package your butter in a jar or container. We like our 8 oz. glass bail jars. 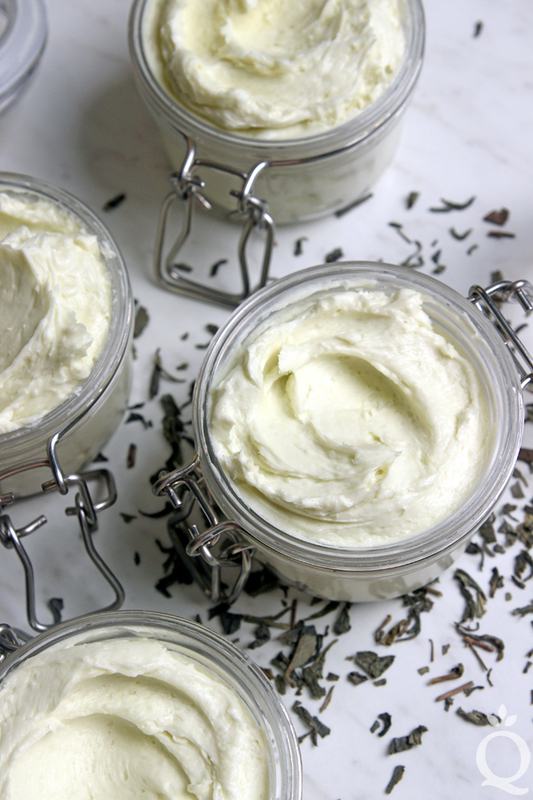 And there you are — your luxurious body butter is ready to use! Ever wondered what the difference is between CPOP, HPOP, and CPHP? 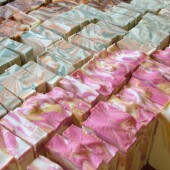 I’m hoping to set the record straight when it comes to various methods of using heat to aid in the soapmaking process. Or, at the very least, I’ve set out to tell my own accounts of what happens when I attempt these different methods. We’ve already visited CPOP, so next up let’s take a look at CPHP. CPHP: Crock Pot Hot Process. This method of using hot process calls for heat being applied through the use of a crock pot (or a double boiler or jacketed soup tureen). 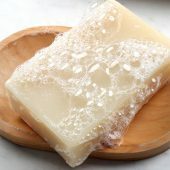 Like the oven’s purpose in CPOP, the crock pot in CPHP facilitates holding the temperature of the soap at or above 160 degrees, speeding up the saponification process. 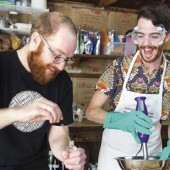 Remember from the CPOP post that according to Professor Kevin M. Dunn, author of Caveman Chemistry and Scientific Soapmaking, heat speeds along the saponification process. 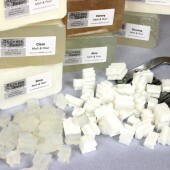 The major difference is that CPHP cooks the soap before it goes into the mold instead of after, which gives the finished soap a more rustic look. 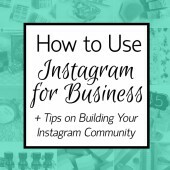 Scroll to the end of the tutorial for some FAQs! Click here to tweet this tutorial! 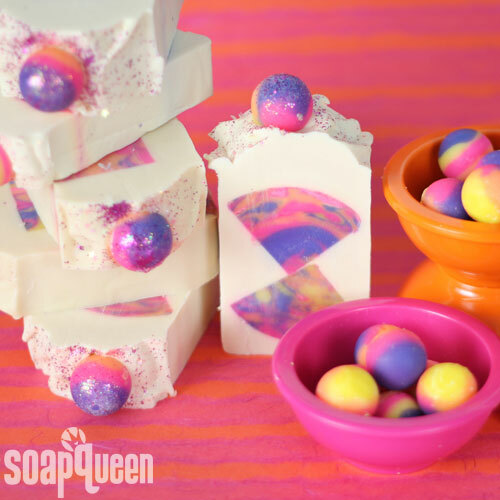 Thank you to Amanda Griffin from Lovin’ Soap for doing this tutorial. 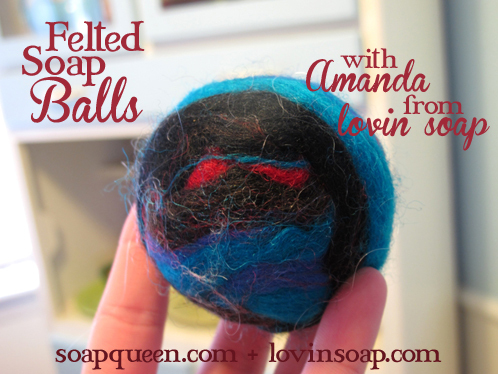 It’s like a cold process-felting tutorial all in one! We love it so much that we’ve got Cranberry Chutney fragrance on sale for you! 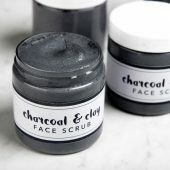 I am loving her Charcoal Facial bar right now. 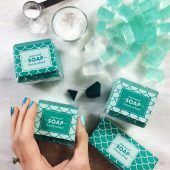 Amanda is one talented soapmaker and we are lucky to have her guest blog today! 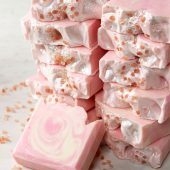 Anne-Marie PS – If you’re new to soapmaking, safety up! Gloves, goggles, kids out of the way, no aluminum and review the basics here!